Mount Pleasant named one of MONEY's top places to live. Located on the east side of Charleston Harbor, Mount Pleasant prides itself on its laid-back atmosphere and high quality of life — thanks in part to its abundant parks, water access, and picturesque beaches. The Arthur Ravenel Bridge, spanning the Cooper River, links Mount Pleasant with downtown Charleston. At its foot is the naval museum of Patriots Point — home to the World War II-era aircraft carrier U.S.S. Yorktown. NOTES: Median home price is based on Q1 2018. Home price to income is calculated using median home price and median family income. SOURCES: Synergos Technologies, Realtor.com, Moody’s Analytics, NOAA, Ed.gov. Illustrations by Martin Laksman. For full Best Places to Live methodology, see money.com/BPLmethodology. There are approximately 100 million single-family residential homes in the US. Out of that 100 million, 2 million are run on solar power. 2 in every 100 homes. That may not seem like a whole bunch, but consider this: we now have the infrastructure to add a million solar-powered homes every year. 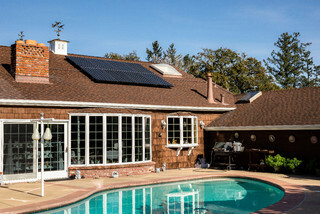 Most homes with solar are still connected to the traditional energy grid. Poor weather conditions will happen, even in the sunniest of states. It's nice to have a backup if things get low but also if you’re producing more electricity from your solar panels than you need you can export that to the electric company and get paid. The cost of solar has fallen drastically in the last few years. And although, its getting cheaper, the hefty up-front investment price of solar keeps many potential buyers looking away. The payback period for solar can be anywhere from 10 - 40 years. To start calculating how much it will cost you to invest in a solar panel system you need to start with a few basic variables. First, the average US house consumes electricity at the rate of 1 kW per hour - Kwh. This averages at about 730 kWh in a month and 8,760 Kwh in a year. Now, you need to find the average sunlight you can expect on a given day which will vary according to your location. From here you can start figuring out how much electricity you wish to generate from solar and the size of the system you’ll need according to your average sunlight. Although we see Solar becoming more affordable every year, and the popularity of it growing rapidly, one industry obstacle to consider is the issues faced with permitting. The permit and inspection protocols can be wildly variant, though most local officials are willing to help you through the process. For those interested in pursuing solar power here in the Myrtle Beach area, you’ll be happy to know that South Carolina has a state tax credit of 25% on the purchase and installation cost up to 3,500 or 50% of your state tax liability together covering about 50% of the total system cost. South Carolina also has a strong net metering law meaning utility companies must pay you 1 for 1 retail value for power exported to the grid. Have you ever stepped into a home that was for sale and been completely turned off by paint colors, furnshings, or other design choices? There's a new "trend" in selling your home called "White-Boxing." Instead of staging your home to look move-in ready, they're suggesting that a totally blank slate allows buyers to envision the home any way they'd like. "White-boxing" is the exact opposite of staging a home to enhance its appeal. Instead of using furniture and accessories to sell the space, it presents a blank canvas, without the aesthetic choices in place, and allows the buyer to dream up layouts and floor design." With the immense popularity of HGTV and online tools like Pinterest and Houzz, many buyers have they're own visions of how they want to decorate, or even renovate their new home. White-boxing definitely isn’t for all properties and buyers. Most home buyers like to see a home in good condition. That’s one reason why home staging is a popular tool many sellers use when marketing their home. White-boxing, on the other hand, isn’t about improving aesthetics. It’s about playing up the value of the location and giving home buyers the freedom to use their imagination. White-boxing is especially trending in luxury home markets where spectacular views are a large part of the property's appeal. It's also a selling strategy if the home requires some major repairs...a "fixer-upper." Showing properties in poor condition isn't easy. A buyer may focus more on the problems rather than the potential. The hope with white-boxing such a property is that if everything is removed, the buyer will concentrate on the possibilities. I'd be interested to know what you think about his new trend. Take a look at these homes currently for sale in the Myrtle Beach area and let me know if you think they'd be more appealing if they were "White-Boxed!" Charleston is consistently on the list of The South's Best Cities! We're excited about the opening of our office in downtown Charleston...right around the corner from the historic city market and just down the street from Fleet Landing. We're looking forward to serving the Charleston community! If you've ever been to Pawleys Island, you know what a special place it is. Pawleys Island is a barrier island situated along the South Carolina coast...70 miles north of Charleston and 25 miles south of Myrtle Beach. It's known for its unspoiled beaches and "shabby chic" style. Hailed as one of the oldest summer resorts on the East Coast, several of the houses in the Pawleys Island Historic District date to the 18th century. They're unpretentious and a little worn, and that's just the way the Islanders like them! Pawleys Island was first settled in the early 1700's by the families of rice planters who owned plantations on the nearby rivers. At the time, they didn't know about Malaria, but they knew it was unhealthy for their families to remain on the rivers during the summer and that the seashore was much healthier. In May of each year, they moved their families, horses, cows, bedding, provisions, and furniture to Pawleys where they remained until the first frost in November. Pawleys continues to be known for its shoeless, carefree, laid-back lifestyle, which includes crabbing in the adjacent creeks, fishing, the stories of ghosts, the rope hammocks and the unspoiled, unsophisticated, casual, delightful stretch of wide beach and sand dunes. Homes on Pawleys Island range from beautiful, newly constructed homes to time-worn cottages. Many of the homes are vacation homes, but the island itself is also home to a number of year-round residents. 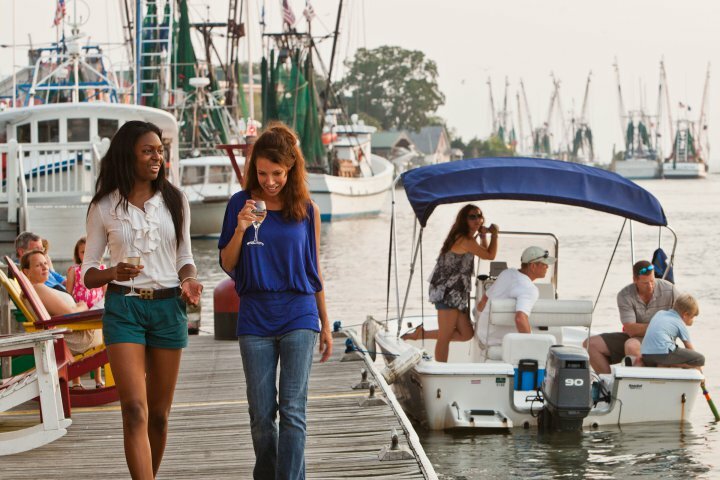 Once you venture off the island, the surrounding town of Pawleys Island is home to some of the area's best restaurants, shopping options, and a host of golf courses and waterfront communities. The National Association of Realtors® just published their 2018 Remodeling Impact Report for Outdoor Features. The infographics cover common exterior projects that homeowners undergo to improve their curb appeal and the resulting change of home value. In addition to The National Association of Realtors®, Remodeling Magazine has a 2018 report covering the same topic as the graphic above but with slightly different outcomes and projects and without the pretty graphic. Here's the Take-Away: Most home improvement projects will never have an ROI over 100% unless you’re capable of doing the install not only as a DIY project but that you’re also capable of doing it well. So although, all of these can bring up the cost of your house when its time to sell, make sure that you’re enjoying the benefits of that new outdoor kitchen, patio or pool so that you can validate your enjoyment as the benefit of the missing bit of your initial investment. 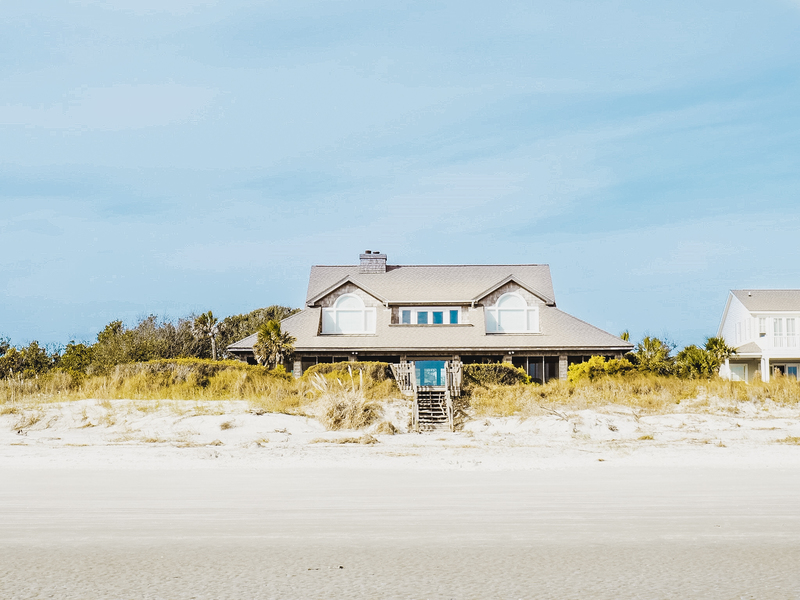 Luckily, many Myrtle Beach homes for sale have already put some form of outdoor improvements into the home...especially New Construction homes in Myrtle Beach! 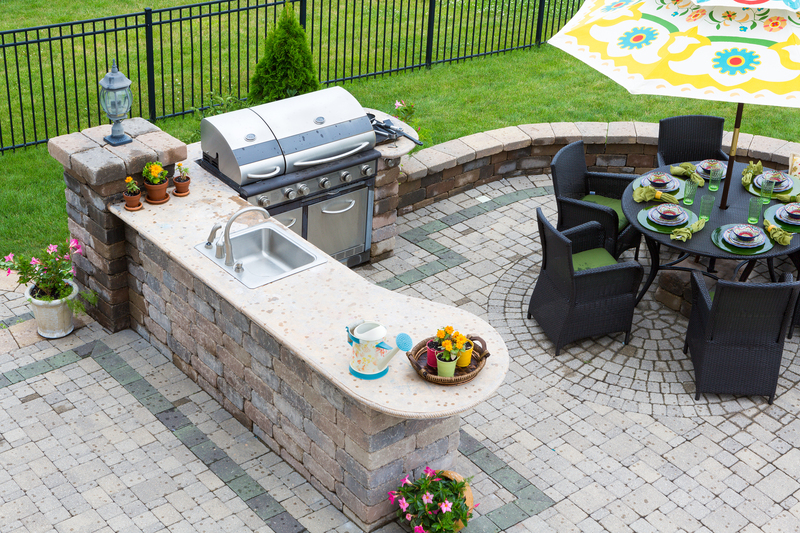 Builders recognize that our beautiful weather is one of the main reasons people move here, and outdoor living is a major part of that lifestyle. You're almost there! You've met every mortgage lender requirement and now you're just waiting for closing. Don't let these "bumps in the road" send you off-course. In all the hustle and bustle of moving, sometimes sellers just forget to pay a final bill. Any lien on the property can bring the closing to a screeching halt. Any damage prior to closing is the responsibility of the seller...from storm damage to busted hot water heaters. Make sure you do a walk-through before taking ownership. Driveways, sidewalks, fences...these should all be straightforward but issues can arise if the property boundaries have not been clearly defined. Make sure you have an official survey done on the property prior to closing. Nothing sends up a red flag to your mortgage lender like a major purchase or financial swing prior to closing. Remain financially conservative throughout the escrow/closing process. 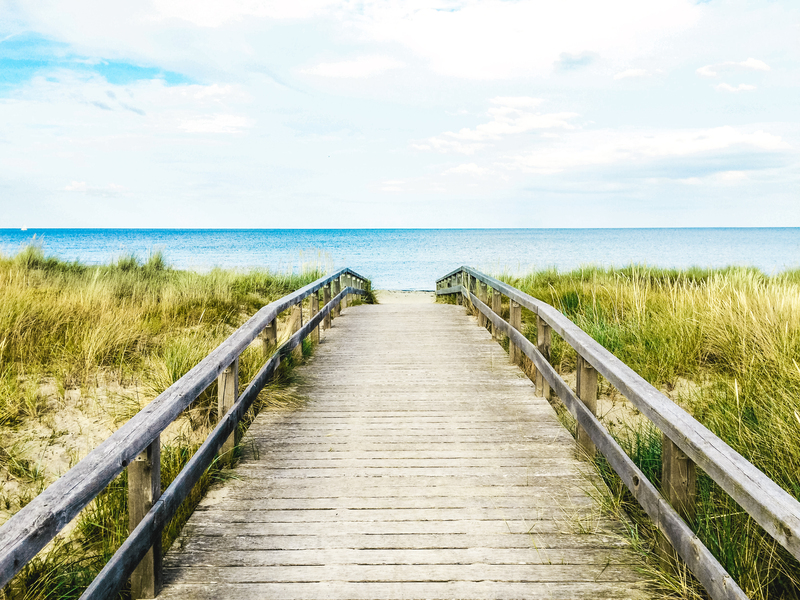 At Woodard Property Advisors, we're committed to making your Myrtle Beach Real Estate transaction smooth sailing! Retirement can be both an exciting and anxious time. And leaving your job behind for good means making some important decisions that will impact both your lifestyle and your finances. As more and more baby boomers enter retirement age, the question of whether or not to sell their homes and move will become an important topic. Aging in place has become a hot button with healthcare professionals stating it can be a major factor in both long-term health and happiness. 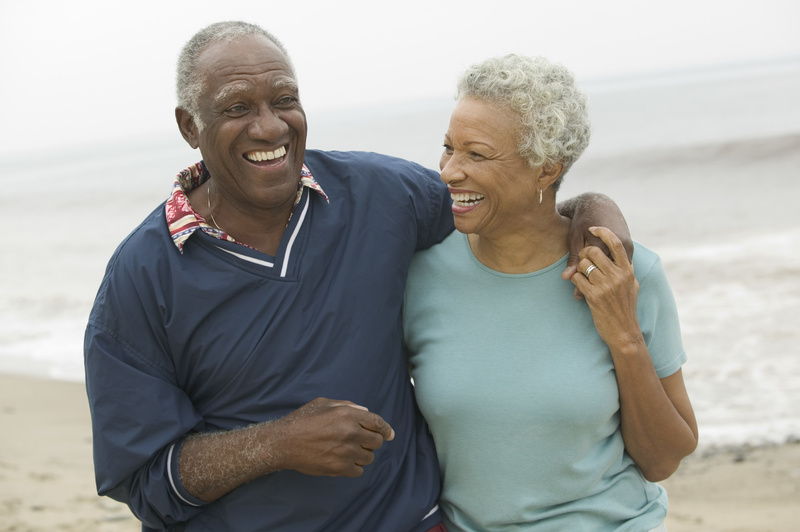 One of the biggest questions for many people considering retirement is where they want to retire and buying a retirement home is a major financial decision that you can’t afford to make lightly. Whether you're considering downsizing in your current area or picking up stakes and heading someplace new, it makes sense to evaluate your home's ability to adapt to your needs in as you age. This seems like a no-brainer, but you need to pay particular attention to what your retirement cash-flow will look like. Just because you retire, doesn't mean you stop taking trips, visiting family, eating out. All those things in addition to taxes, utilities, insurance, and maintenance will play a big part in your retirement budgeting. And while it's tempting to put a big down payment into your retirement home, or even pay cash, you want to have enough cash on hand to pay for issues that might arise. Being house rich but cash poor may not be the best plan for managing your retirement finances. Thankfully, home values have recovered in recent years and your equity right now is likely better than it has been for a while. This may be the perfect time to cash out and purchase your "forever" home. Will HOA fees actually end up being cheaper than having to hire all the contractors necessary to keep up with home repairs, lawncare, etc? Of course, condos cover many of these items but there are also an abundance of 55-plus communities that offer single family homes and also manage these tasks. Be selective about the neighborhood and areas you are looking to move to. Whether you're living close to family or farther away, it's always nice to have extra people looking out for you and someone close you can call in an emergency. People are realizing how important pets are to us and they are becoming more and more acceptable even in rental situations...but its not always the case. You'll still need to check with condos and managed communities to be sure that your furry friend will be welcome, if there are additional fees involved, is there adequate outdoor space, and veterinarian care. They say 60 is the new 40! People are definitely living longer and are more active in retirement, but that doesn’t mean that down the road you won’t need your home and neighborhood to be more accessible. Pay attention to the feasibility of updating your home for accessibility if it isn't already done. Additionally, check to be sure your neighborhood amenities have accessibility upgrades. Swimming pools and fitness centers that are adaptive can be great benefits in your long-term health care. How close are you to family? How often will you get to see your grandchildren? Are you close to stores and restaurants? Does your community offer some transportation? One of the harder things to keep in mind is that as you age, issues can arise that keep you from driving and require some assistance in other forms. There are a lot of factors to consider when thinking about where you're forever home should be. Take a look at the many options currently available in 55-Plus communities along the Grand Strand and Contact us if you're ready to learn more about your retirement options! 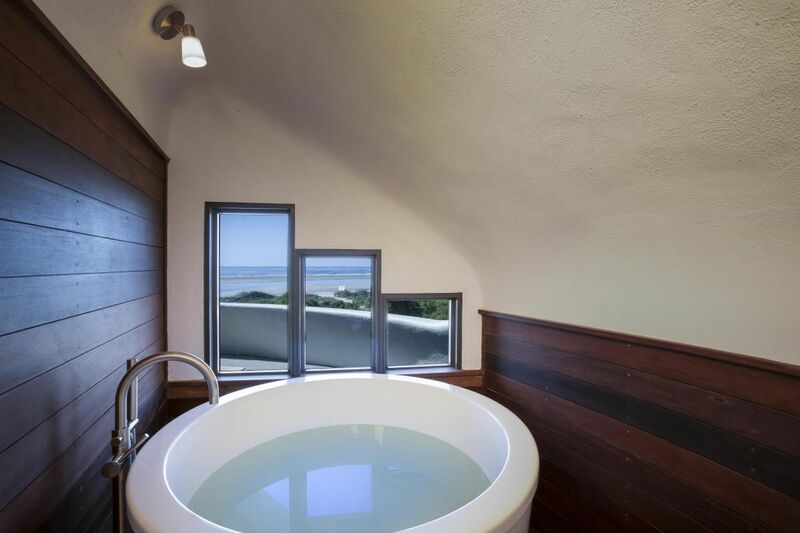 One of Sullivan Island's most unique homes is on the market and it's actually stunningly beautiful inside. Featured on Fox News, Business Insider, CNBC, Realtor.com, and the Post & Courier, this well known Charleston area landmark has also been the subject of a photography contest that resulted in over a quarter million YouTube views! 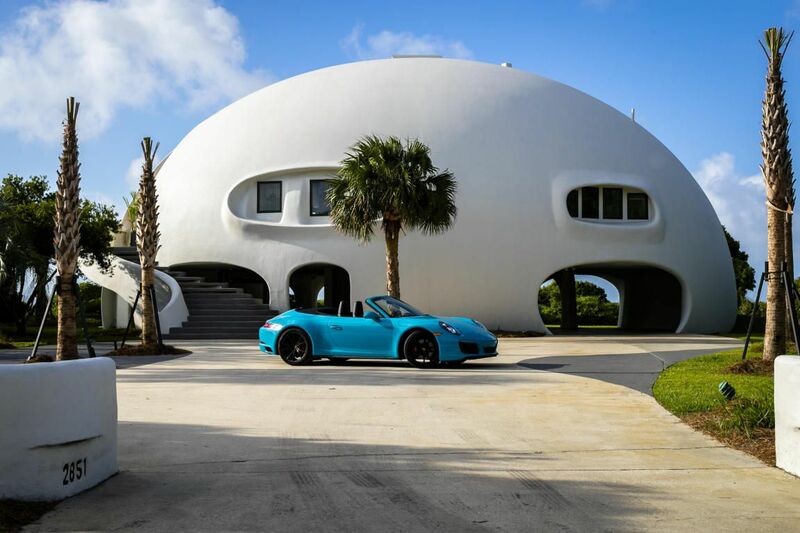 "Since its construction in 1991, the Eye of the Storm, a concrete and steel dome residence on the front beach of Sullivan's Island, has become a well-known Charleston area landmark, and since its recent listing, has already been featured in news stories on the websites of Fox News, Business Insider, CNBC, Realtor.com, and the Post & Courier. It has also been the subject of a Fstoppers photography contest that has generated over a quarter million views on YouTube. This home inspires wonder and imagination. Weighing in at an estimated 650 tons, the home was designed and built with the aim of withstanding the kind of storm that destroyed its predecessor in 1989 when Hurricane Hugo laid waste to islands across the Lowcountry. 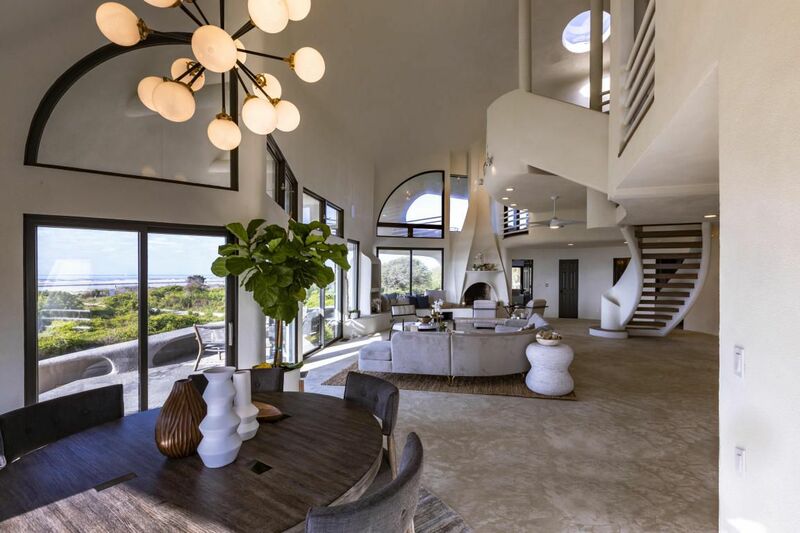 After losing their original home, the owners of this property hired their son, who had built dozens of concrete domes by that time for both industrial and residential users, to create for them a home in which they would have peace of mind for the rest of their lives. Now, 27 years later, after an interior renovation, the Eye of the Storm is being marketed for sale for the first time." 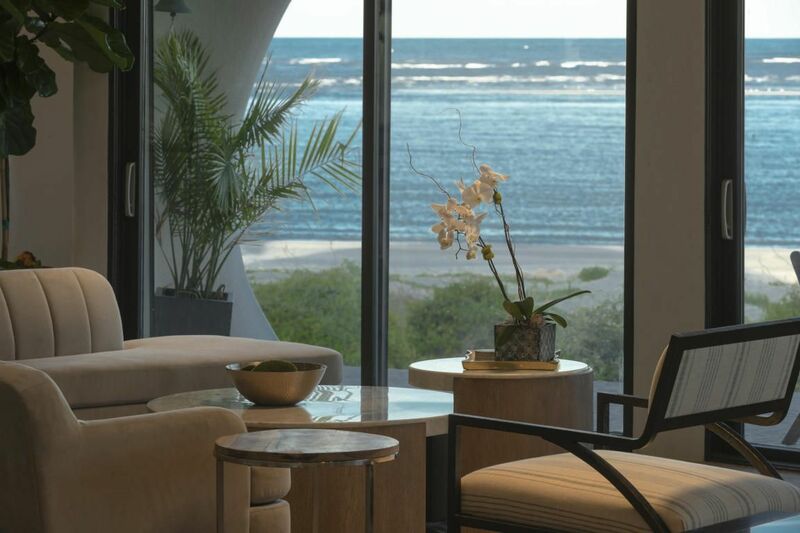 Listed by Pareto Real Estate, the Eye of the Storm has been a source of wonder and inspiration for many years. June 2018 sales figures are in for the Myrtle Beach area real estate market. 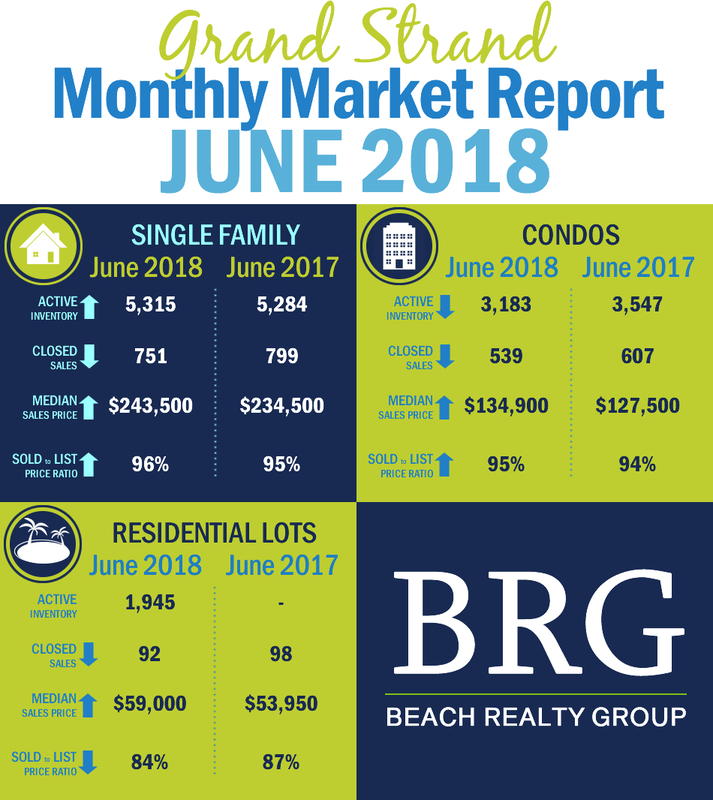 "Despite a setback in June, Grand Strand SFR and Condo sales activity year-to-date sales are up 3.72% and 0.74%, respectively. Residential lot sales are down 6.12%, compared to June 2017 levels. SFR sales volume is down 6.01% compared to June 2017 but is up 3.72% year-to-date. Median sales price is up to $243,500, a 3.84% increase from June 2017. Sales prices for new construction and resales are also up 7.12% and 4.44%, respectively, when compared to June 2017. The average sold-to-list ratio for Single Family Residential sales in June was 96%, up 100 basis points compared to the same month in 2017. Condo sales volume is down 11.20% compared to June 2017. However, year-to-date sales are still up 0.74% from 2017 levels. The median sales price is up to $134,900, a 5.80% increase from June 2017. Condo inventory continued to tighten as inventory is down as compared to prior year levels: down 9.88% compared to June 2017. The average sold to list ratio for condo sales in June was 95%, up 100 basis points compared to the same month in 2017. Residential lot sales were down 6.12% in June compared to 2017. The median sales price increased to $59,000, up 9.36% compared to the same month in 2017. Sold to list ratios are at 84%, down 300 basis points when compared to June 2017."